Seeking goodness in this world can often be a difficult task. Almost always, the not-so-good things are what make headlines and the really great and amazing things often fall by the wayside. Post is looking to change that and for the fourth year in a row, they’re searching for goodness on SearchForGoodness.com. They’re asking Canadians to nominate someone who is deserving. Post hasn’t lost hope in the good things that happen in the world and they truly believe that there is genuine goodness in us all. They think that it is something to be celebrated and I happen to agree with them. In 2013, Post recognized Greg Epp from Saskatoon, SK for his selfless commitment to maintaining his community hockey rink and making it accessible to all. 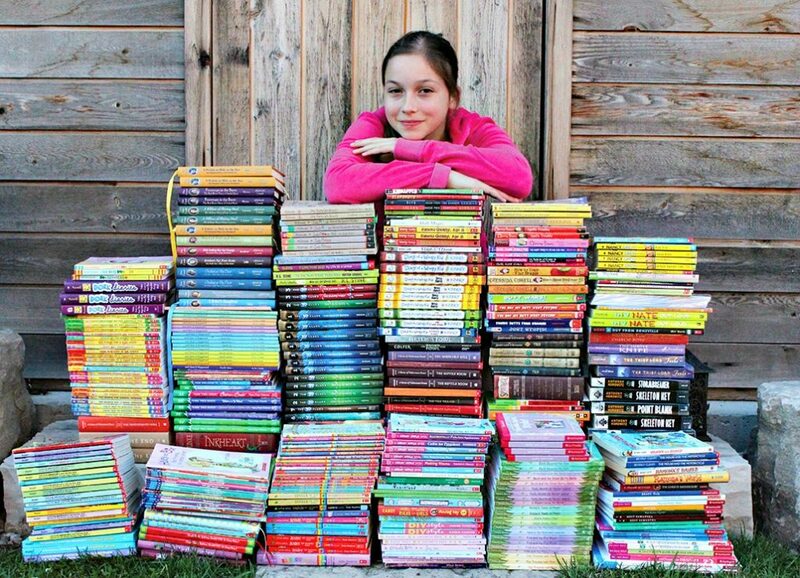 In 2014, sisters Julia and Emma Mogus from Oakville, ON were selected for their efforts to help youth in remote communities in Northern Ontario by donating books. In 2015, Pam Huson from Beamsville, ON was recognized for her work as founder of Beamsville4PawRescue, an organization that rescues animals in need. Since the launch of the pet rescue in 1997, Pam and her team of volunteers have found homes for almost 3,000 animals. I think we all know someone who goes above and beyond in our community. Someone who sees a need and fills it or never hesitates to be there when help is needed. If you know someone, you can nominate them and they have the chance to win $10,000 to help spread even more goodness within their community. That’s a nice chunk of change for more good! You can nominate one individual or a team of up to 3 awesome people who are making a difference. In the case that a team wins the Search for Goodness contest, they will divvy up the prize evenly! It’s only fair to share, right? Just make sure to get your nominations in by July 25th, 2016! Each day anyone can head over to SearchForGoodness.com to vote for their favourite nominees! Voting is live until July 31, 2016. So, put your thinking caps on and nominate that extraordinary person! In August, a shortlist of 10 finalists will be announced for the world to see! From there, a panel of judges from Post will choose the winning story in late August. 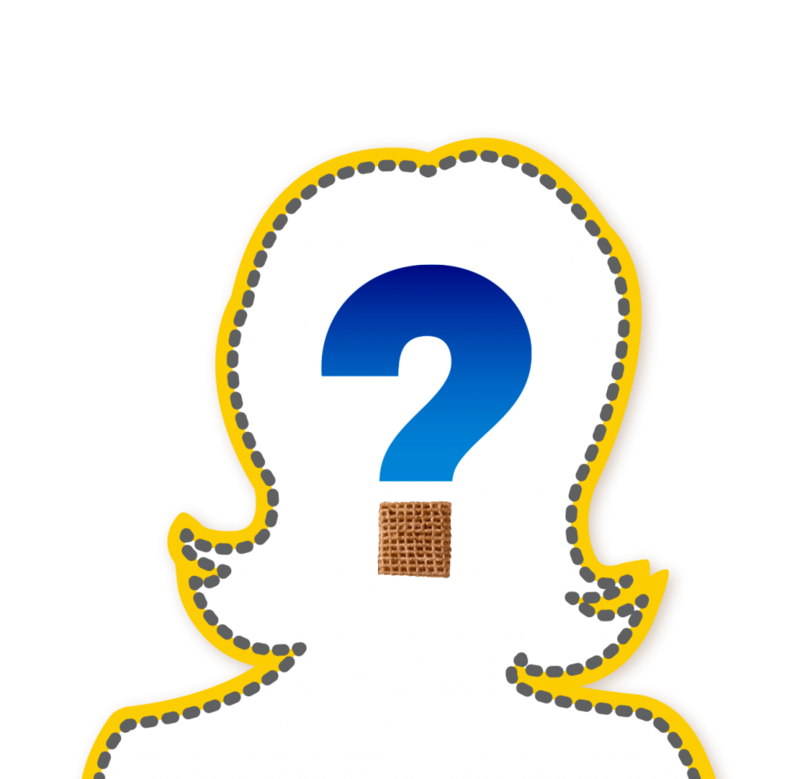 Then this year’s Search for Goodness winner will be announced! First thing is first, you already thought about who you were going to nominate or perhaps, you’ve been waiting for a chance like this to nominate a person who quickly comes to mind. Here’s your chance! Log in with Facebook or your email. Upload a photo of your nominee. Tell us why this person is a genuinely good person in no more than 150 words. Once you have nominated someone, you can vote for their story to help them make it into the top 10 finalists. I know that there are a few teachers that I would love to nominate for this. Not only for being amazing teachers and being there for their students but, for helping our community by organizing collections for food and cereal for our lower-income schools in our city. Not to mention, organizing gathering of supplies and welcoming refugees into our community. 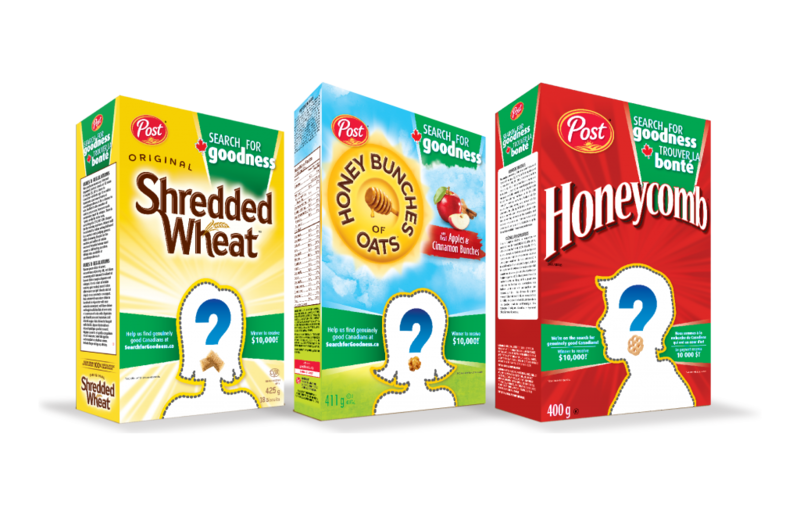 To celebrate the Search for Goodness, one lucky Whispered Inspirations reader will win this Post Foods Breakfast Prize Pack! It includes bowls, cutlery and of course, delicious Post cereals. This contest opens on June 1st, 2016 and ends on June 16th, 2016 and is open to CANADA. To apply for the giveaway, let me know who you would nominate below. Now that you already have someone in mind, make sure to nominate them at searchforgoodness.com! So head on over to SearchForGoodness.com and nominate the person or people who are making a difference and affecting other’s lives for the better. Let’s give them the recognition they deserve! Let me know til then–cheers m’deres! I would nominate my mother because she is always helping everyone!! I would nominate a friend of mine who is always volunteering and doing good things. I would nominate my mom, although she’s not advertising her good deeds she is quietly helping everyone she comes across that needs it. I would nominate my neighbour because she is our neighbourhood watch. She always takes care of everyone in our neighbourhood and making sure the kids are crossing the street safely on their way to school. I would nominate my friend, who spends countless number of hours each week looking after Girl Guide units. When other units were full and not willing to accept a girl – she did.. She can never say no and no one gets left behind. She does all this yet, her own children are not part of the units that she is involved in. I would nominate my neighbour. he is retired and volunteers so much of his time to our town. He also loves to help anyone in the neighbourhood if they need help with yard work or house maintenance. It says the giveaway has ended? It says it ends June 16th. Hello Brenda, for some reason the widget glitched. I am sorry, I fixed it! I would nominate my uncle who is an artist and always willing to use his artistic ability to contribute to his community. This is so awesome! I bet there are quite a few people who deserve this in Canada! I would nominate my sister who is always very helpful to everyone. I would nominate my sister, as she is kind and thoughtful and generous as a volunteer with Big Sisters. Is nominate my daughters best friend. (age 27) She has been doing so much for her community. Right now she helps at a little artsy cafe setting up events for musicians and artists. the town she is in needs this a lot and helps the artists and musicians get exposure. I would nominate my sister… No matter her situation she always has time to help another. I would nominate my friend she is always there for me and any one else who needs anything. There a few people i can think of i would love to nominate. This is a great prize pack. I think it can make a huge difference! Great to see them giving back! It means a lot to me as a consumer when companies do things like this. I would nominate a friend of mine. He really deserves it. I would nominate my best friend. She is the leader of the Army Cadets here and does a lot of volunteer work around my town. She puts in a lot of hours to help out. She is very welcoming of any cadet who joins. I would nominate my best friend because she is always helping others and is always there for me. I WOULD NOminate a co-worker who every friday goes out of her way to help do volunteer community work!! i would nominate my stepmom. she is amazing adn always willing to help anyone. i would nominate my friend, she is a single mom and putting her son through university and has always been volunteering in her community and friends and family! Would also love to nominate my husband who is forever helping out seniors with small or big tasks, he loves working/helping them. I would nominate one of my neighbours who spends a lot of her free time volunteering in the community. I would nominate my neighbor because he is always so helpful to me and my other neighbors. i would voluteer my good friend, she works full time ,family yet has time to help in the community and at school! The media has seemed to be promoting an exceptional lot of bad these days, it can be so hard to remember all of the good people are trying to do in this world so I love that posts is searching for it. My mom because is so serving. I would nominate my mom because she helps everyone she can and never asks for anything in return. I would nominate my Principal, she is a rockstar! I would nominate my mom because she is smart and kind. Was going to nominate my friend but having issues with getting it to accept my entry, think it is something to do with my picture so I am going to have to try and figure that out. Maybe it is a size thing? Hope you got it to work. I would nominate my friend who I met at our local community centre. She spends a lot of her time volunteering there, and always happy to help anyone in need. she is such a genuine person. I would nominate my wife who loves to help others in need. I would nominate my Mom for her work with special needs children! 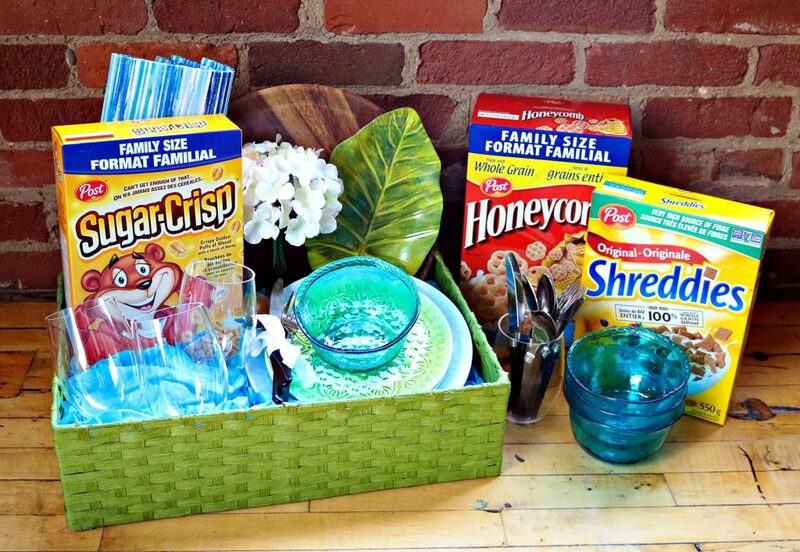 It would be great to win this Post Foods Breakfast Prize Pack. because she is always helping others. I would nominate my sister she is always there for everyone and fights for our rights. I would nominate my mom. She volunteers at a number of organizations as well as being an amazing mom and grandmom. because he volunteers at different charity events. i would nominate a friend of mine – she volunteers every day, and is always helping to save animals (turtles, birds etc) – she has the best heart of anyone i know! because she volunteers at a local soup kitchen and tries to help others as much as possible. I would nominate my mom who spends a lot of her time volunteering with a number of organizations. My friend because she is always giving back, trying to find ways to help and volunteering. This is an awesome contest. I would probably nominate my middle son. He has such a servants heart and is always giving and caring anyway he can. I would nominate my niece for being so active in her community! because she volunteers with local charities and tries to help others. My friend who always wants to help and give back. She would definitely make good use of the prize. I would nominate my mom for all the good work that she does. I would nominate my friend because she does a lot for the community. I would nominate my friend who volunteers and helps run an animal rescue service. I would nominate my neighbor who is always volunteering. I would nominate the principal of the school I work at. He works tirelessly to improve the low income community around our school. I would nominate a buddy of mine. She deserves the recognition. I would nominate my bestie, she is a hard working single mom who is always there for everyone. A friend who is always volunteering in her community including collecting supplies for a shelter for abused women. I would nominate my mother, she is an amazing person. She is always giving back, and paying it forward. I would nominate my best friend. Not only does she go to school full time to get her degree she also takes such wonderful and loving care of her Autistic son. She is also in the Army reserve after spending 10 years on active duty and still finds time to volunteer at our local soup kitchen and homeless shelter. I was going to nominate the captain of the fire department for the Fort McMurray fires for all him and the firefighters did to try and save their city, but saw that someone else had already nominated him, so instead I am voting for him each day. My friend, her latest endeavor is rescuing kittens from feral cats at our campground, getting them spayed/neutered and finding them homes. There are so many people in my community who do great things that it would be hard to for me to just pick one person,but I do believe that this is a great way to show appreciation to them. This is a really wonderful idea! I think I could nominate a few people who really help the community and do wonderful things. Wish I would of seen this before. I am sure there is several people I could of nominated. I am not sure who I would nominate. This is a great campaign. I love companies who give back. I know this is just way Post gives back to the community. Good luck to all the nominees. It really is a great way to give back. It is so nice that Post recognizes people who have decided to give back to their communities. I think I would nominate my daughter. She started a competitive cheer team in our community for the girls who could not afford to go to the big gyms in our neighboring city.